Posted on November 23, 2014 by Lena K.
The story starts with a foreign transfer student, Rebecca, being introduced into Moriko’s class. Their first meeting happens right in the middle of Rebecca’s first introduction, when their eyes meet and she seemingly mistakes Moriko for one of her acquaintances. However, as it turns out, Moriko doesn’t look like anyone Rebecca has met before. It’s rather a character from a yuri game that she resembles. This short description is already one of the most promising sounding descriptions I’ve read in a while. A story like this sounds really easy, like nothing new, yet the possibilities where this could go are endless. Also, knowing that someone like Takemiya Jin is the author of this already makes my expectations go through the roof. As you can see, from the very first chapter, I pretty much already knew that this was going to be good. And I got exactly what I thought I would get, with one slight difference: On the one hand, we got a great story with great characters, an interesting plot, and a lot of yuri. But on the other hand, there was one thing missing that I think Takemiya Jin is pretty much famous for at this point. What I’m talking about is love triangles. Almost all her works have them, sometimes even multiple ones in one work, but surprisingly Game didn’t come with any of this. What’s even more surprising, despite the fact that I usually love reading about tragic love triangles, in this case, I was so happy that we just got a more or less happy romance. It just makes me wanna read more stories like this. But back the the actual plot. The romance between the characters happens surprisingly fast. 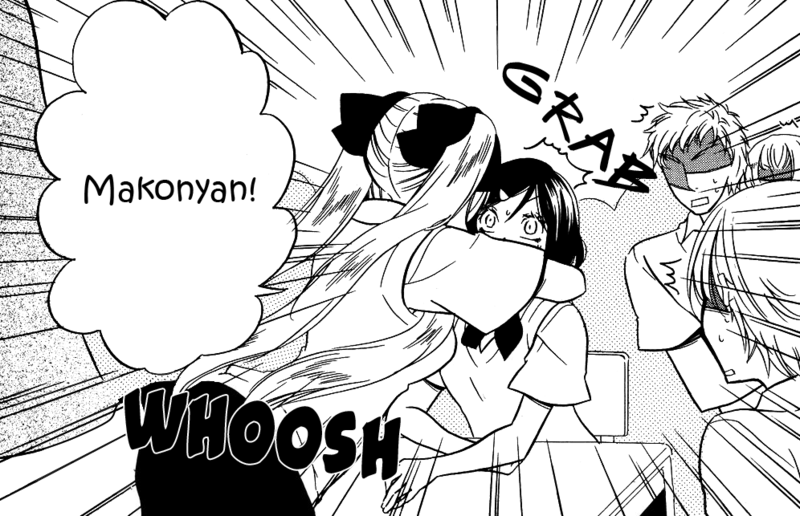 Rebecca shows her affection without holding back at all, while Moriko is at least a little suspicious and taken aback by the whole situation. Though, that doesn’t last for very long, and by the end of the second chapter, she already completely surrendered, letting Rebecca do whatever she wants to do to her. Personally, this happened way too fast for me, but then again, this manga only comes with 3 chapters, so there is simply no room left for any “unnecessary” plot twists. This is probably the only negative aspect I can name, since I think that a story like this could at least be dragged out for a little longer. 3 chapters is simply too little for such a great story idea. Other than that, there is nothing else I could criticize about this work. The drama is well done, yet not over-the-top or too exaggerated, the characters are fun and interesting to watch, and the whole thing looks really well drawn, something I’m not that used to when it comes to this artist. It’s simply really well done, and one of the best things that I read recently. I hope that Takemiya Jin decides to do more of these more easy-going and happy pieces, even though I enjoy her more complex love triangle dramas as well. All in all, there is not more I could say about this short manga, other than the fact that I want more! 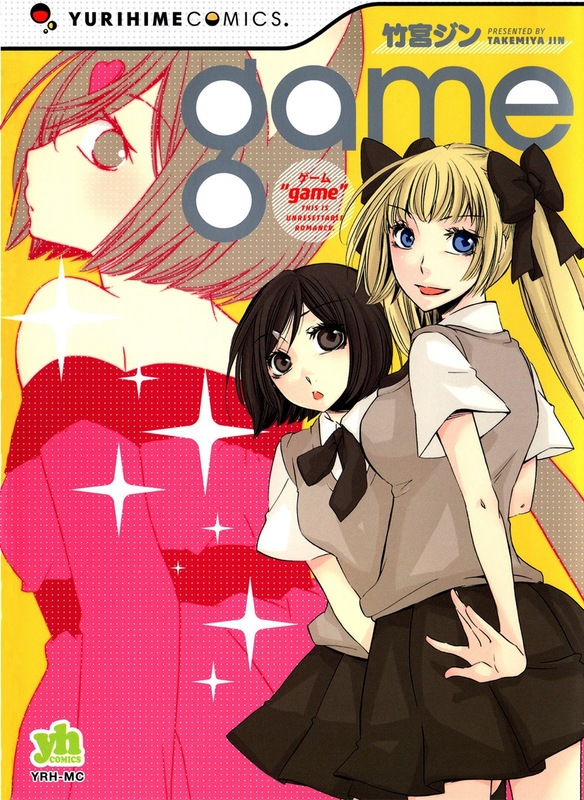 This entry was posted in Manga, Manga Review, Yuri and tagged Game, Takemiya Jin by Lena K.. Bookmark the permalink. For once in a blue moon, Takemiya made another story without adults problems or males. Relieved a bit. Maybe there will be more? Except for the drawing style, this was really cute and well made. Glad, that nothing actually went down with the sister..
i thought it was great, will you do another recommendation list. I feel like i have run out of manga to read. Haha, well if you liked this one (I think you read it :P) then you'll probably enjoy other works by her as well. Let me tell you, having Jin as your absolute favorite mangaka sometimes makes life really hard when you also love fluffy yuri. So Game is one of the best things that ever happened to humanity as far as I'm concerned. Are you going to write something about Fragments of Love since the main story is finished, by the way? Or are you waiting for the side chapters? A review of fragments of love is planned, but I'll have to reread everything before I can write it.